Steps from the Washington Square T stop on the Green Line, C Branch. Customer parking available behind the salon. 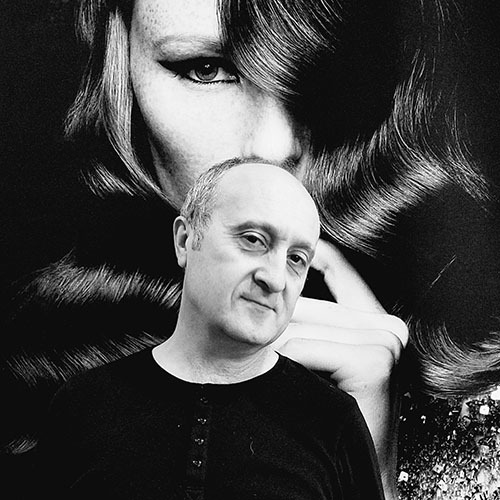 Simon, a musician turned hair stylist, values creativity and imagination. After eight years of professional training in music school and college, Simon worked as musician for more than a decade. When he decided to change careers, he wanted to continue in a creative field—and found that he had a flair for styling hair. He has taken master classes at the Vidal Sassoon Academy and other notable schools to keep up with the latest trends, techniques, and products. He worked at high-end salons in Boston before opening Eve Michael Salon & Spa in Brookline in 2006. The salon is named in memory of his parents, Eve and Michael. Simon’s favorite part of being a stylist is making his customers happy. He speaks five languages and enjoys music, family, and travel. We deliver the style you want. Newly redesigned to meet all your needs. Refresh and revitalize your skin. © evemichaelsalon.com. All rights reserved. Payment Methods. Eve Michael Salon & Spa accepts American Express, MasterCard, Visa, and Discover. Cash and personal checks are also welcome. Cancellation Policy. We understand that situations may occur that require you to reschedule or cancel your appointment. We ask that you provide 24 hours’ notice. Late Policy. Your time is valuable. We kindly request that you arrive 10 minutes before your appointment so that we can provide you with excellent service. Hair Color Policy. Eve Michael Salon & Spa provides a 100% guarantee on all color services within seven days of the service. To protect your color, your colorist will recommend at-home care and maintenance practices, as well as the best products. Please keep in mind that color correction usually requires more than one service to attain the desired results. Eve Michael Salon & Spa is not liable for color services performed outside our salon. Personal Items. We are pleased that you have chosen Eve Michael Salon & Spa. We kindly ask that you remove coats, other outer garments, and jewelry before color application and shampoo services. This will help ensure that your clothing and accessories stay in pristine condition. We recommend changing into an Eve Michael robe. Our salon is not responsible for damage to clothing during color application, nor for any lost or damaged personal items.